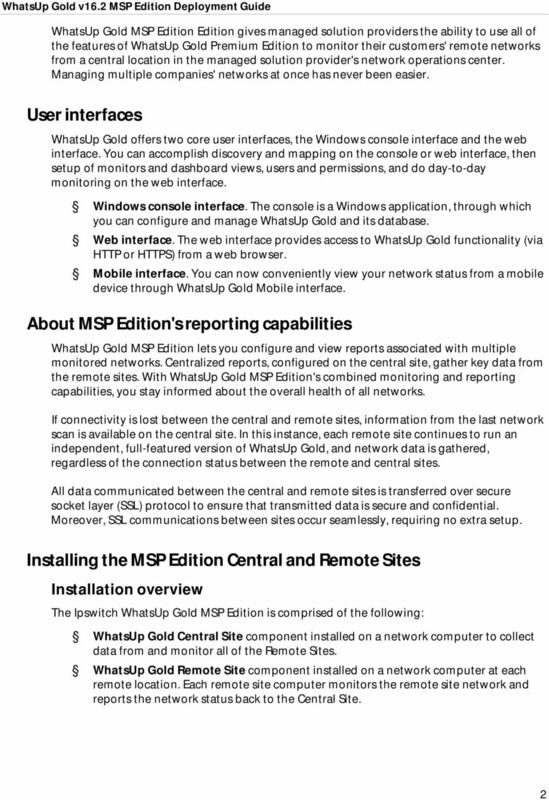 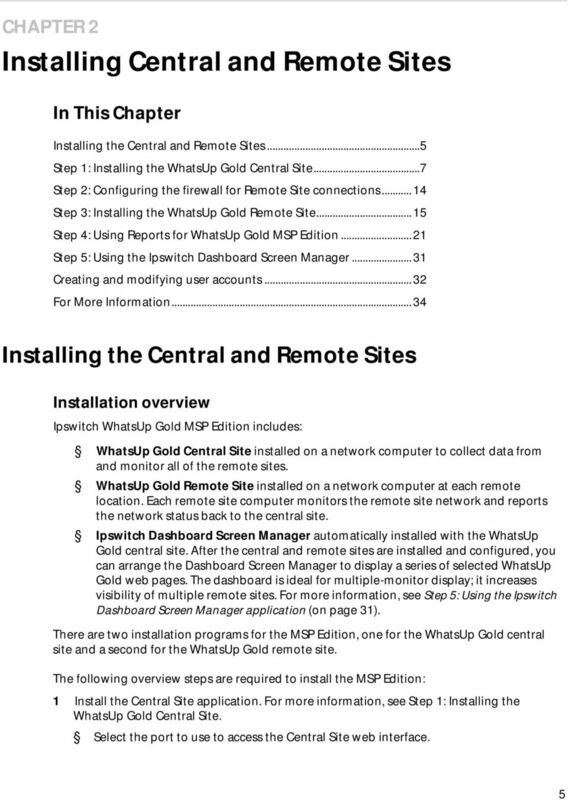 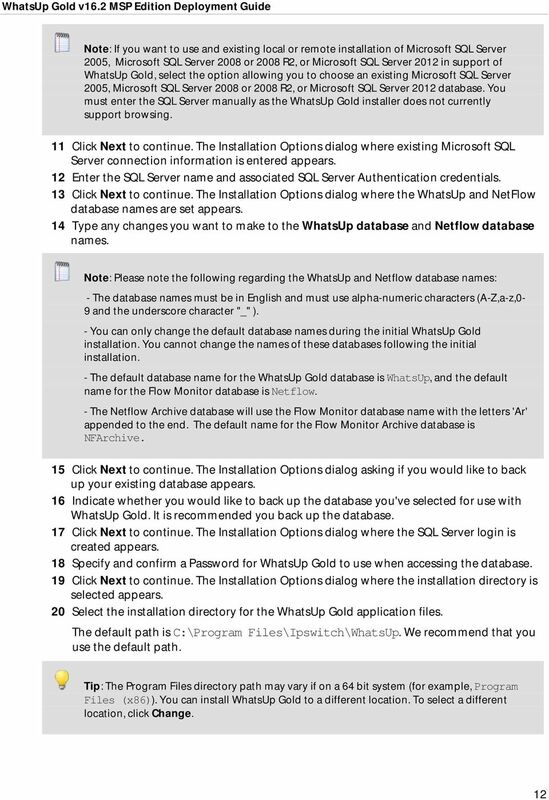 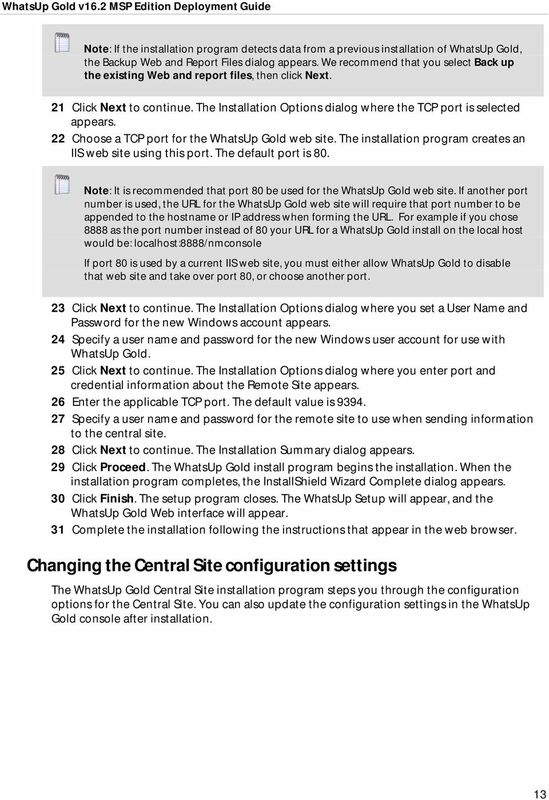 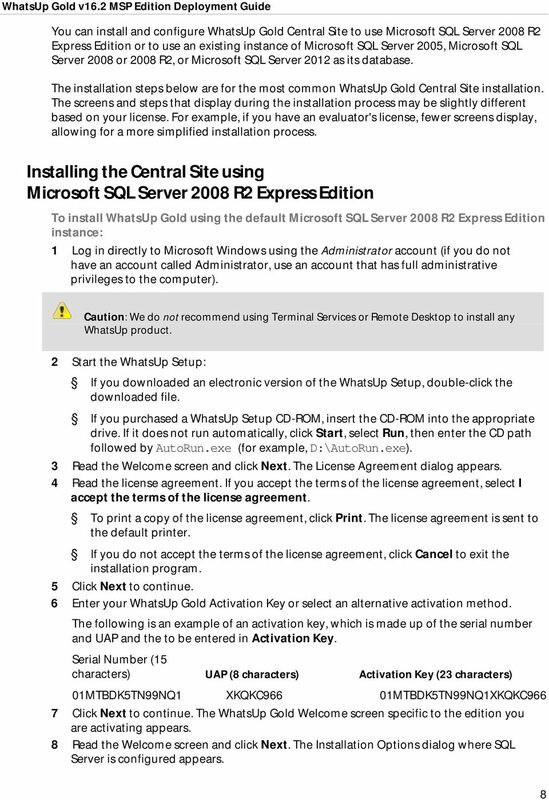 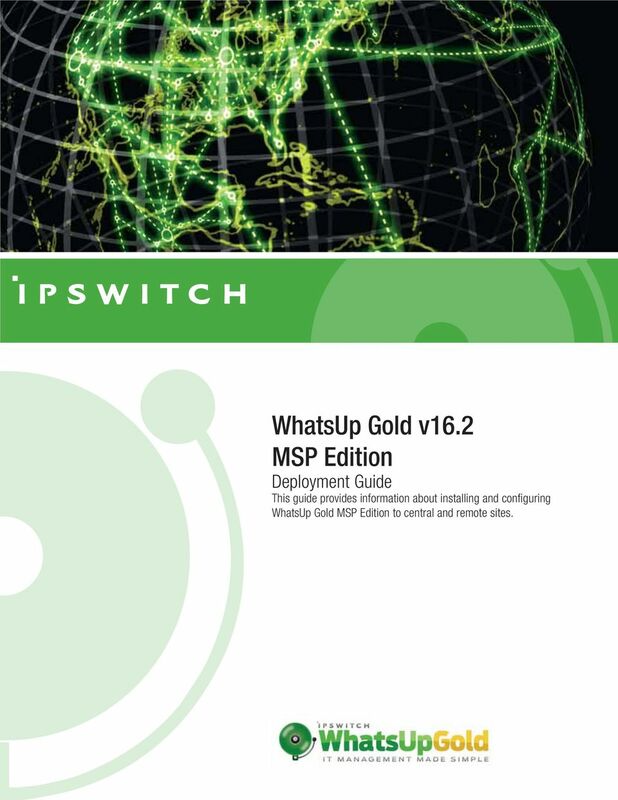 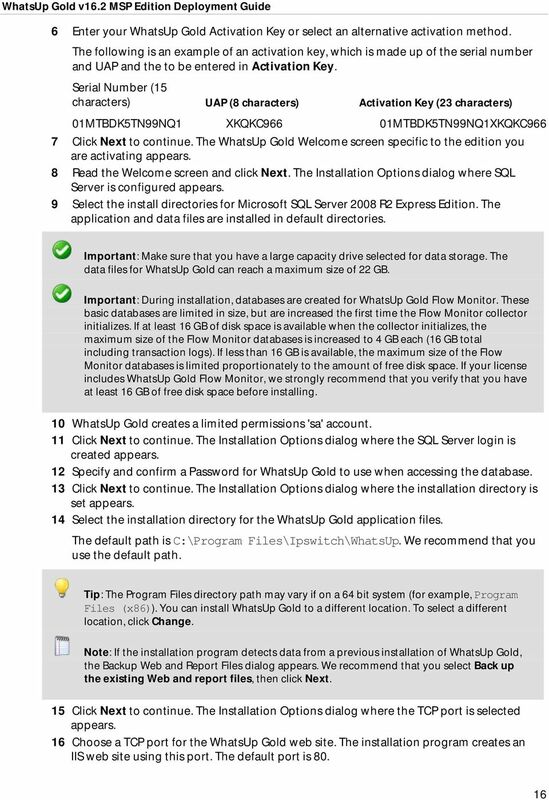 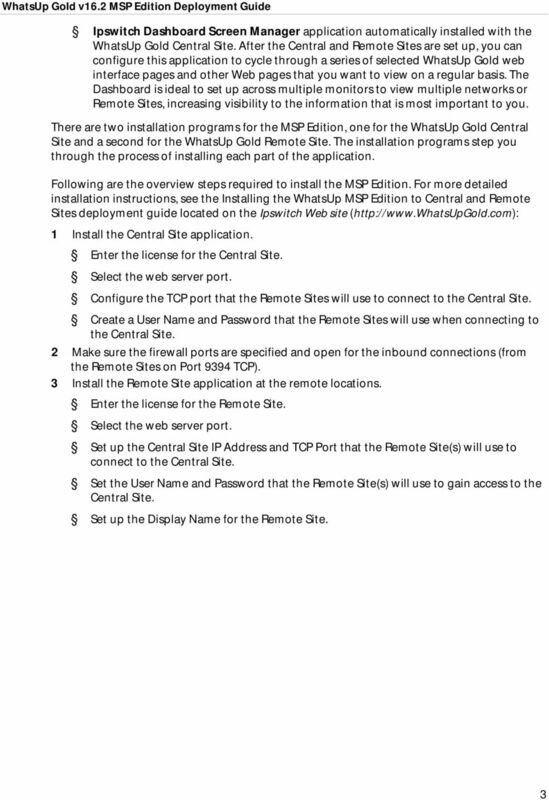 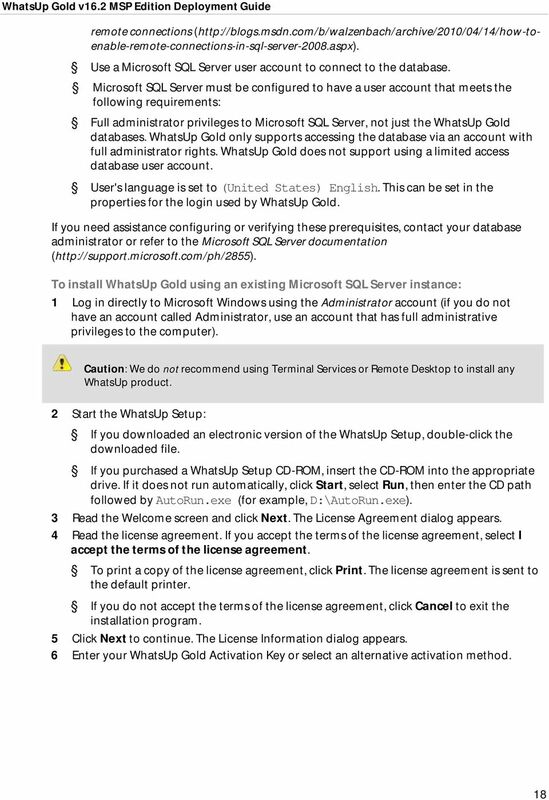 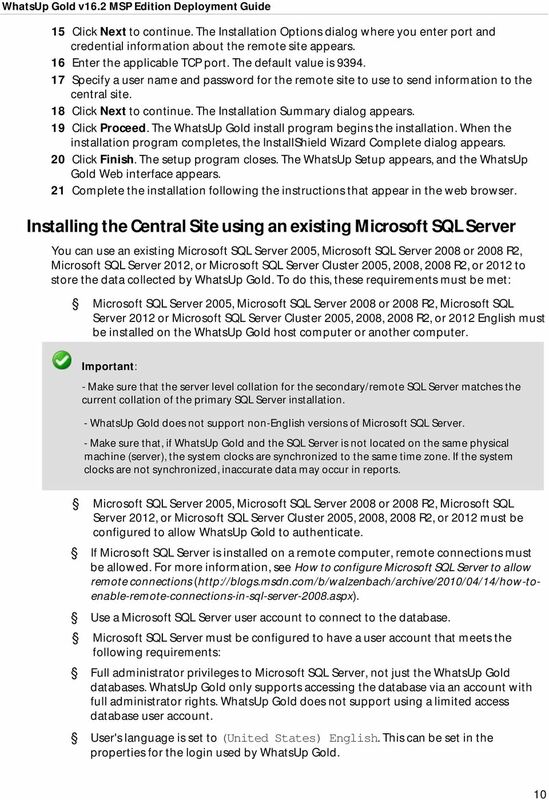 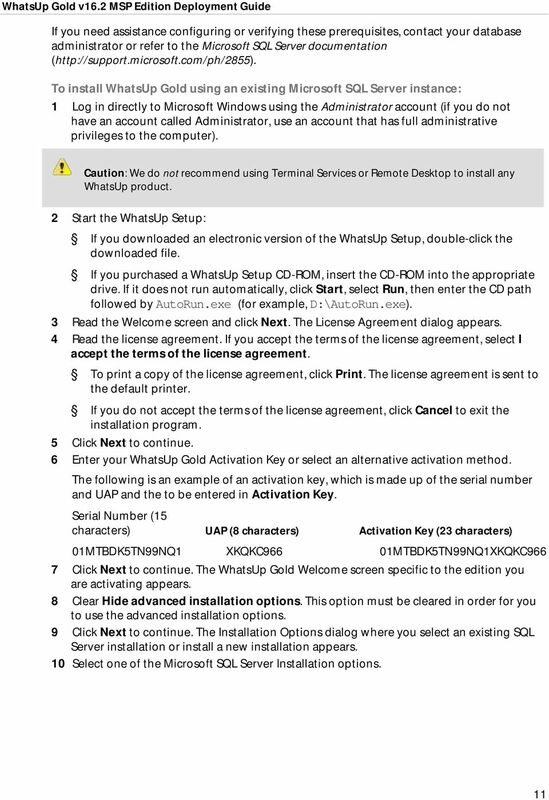 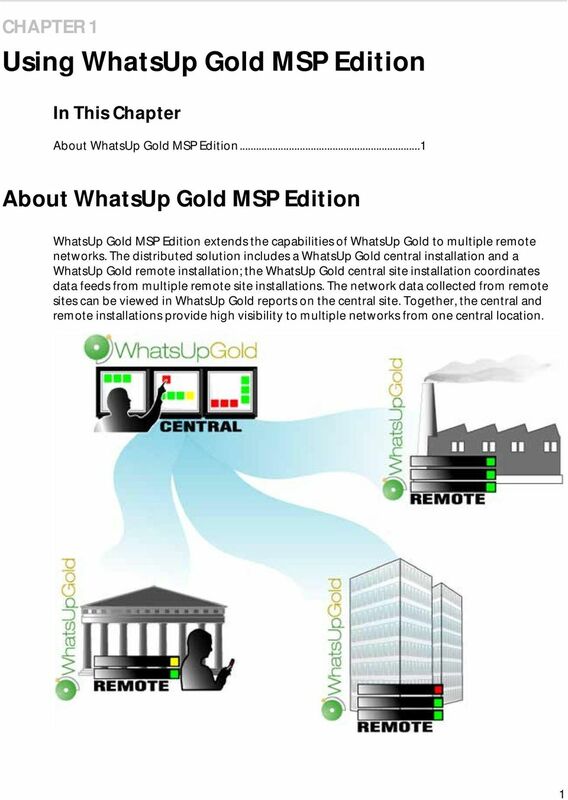 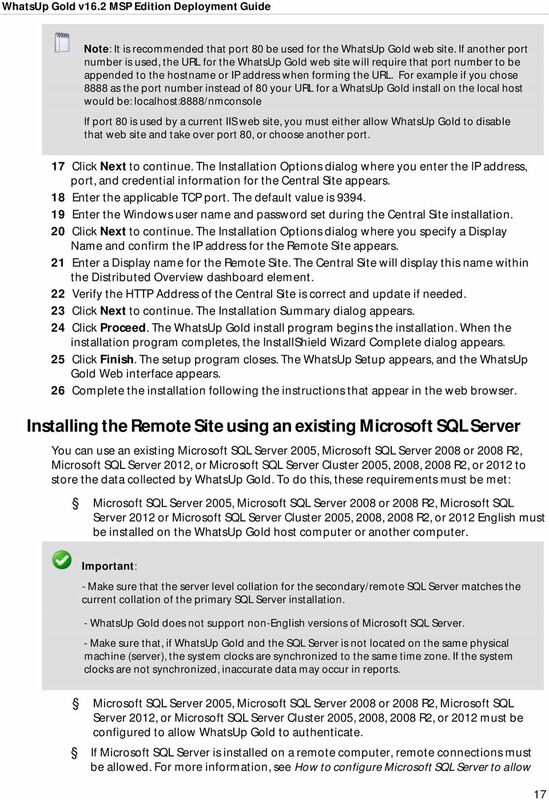 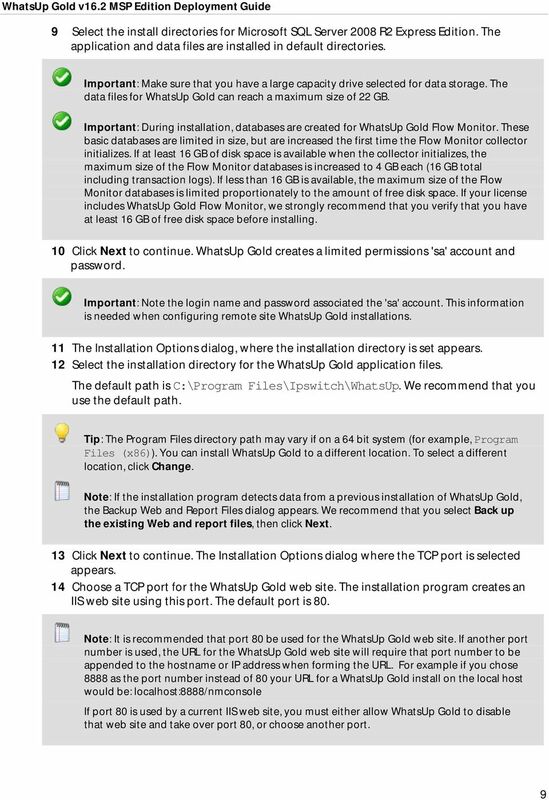 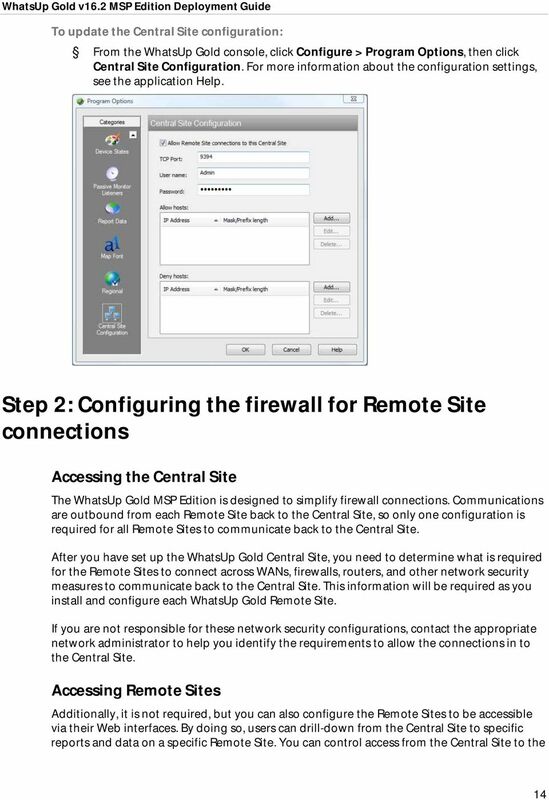 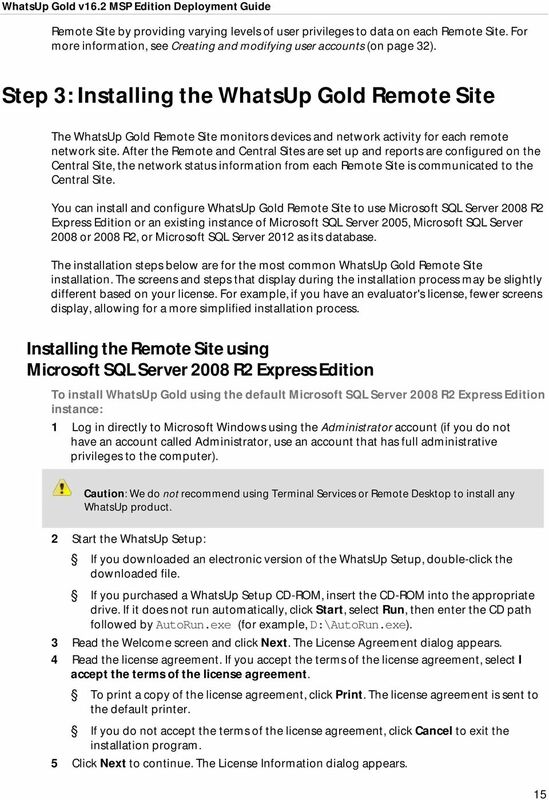 Download "WhatsUp Gold v16.2 MSP Edition Deployment Guide This guide provides information about installing and configuring WhatsUp Gold MSP Edition to central"
1 WhatsUp Gold v16.2 MSP Edition Deployment Guide This guide provides information about installing and configuring WhatsUp Gold MSP Edition to central and remote sites. 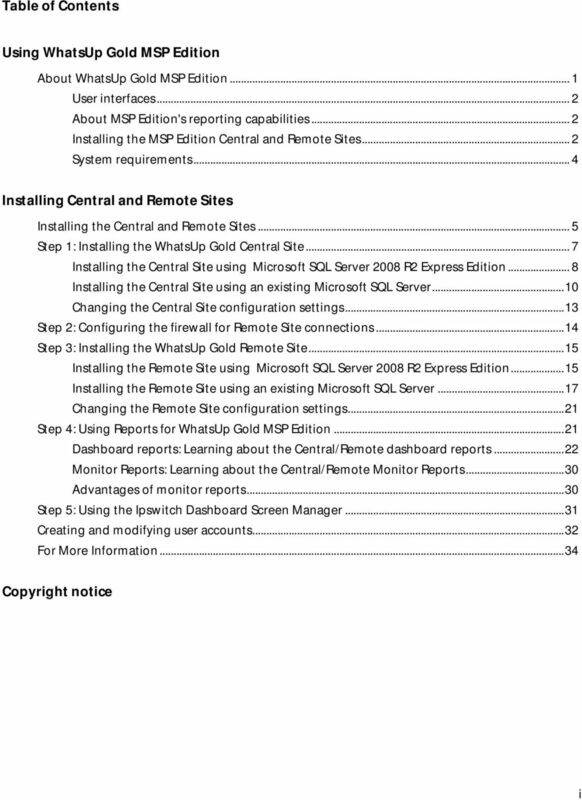 Flow Publisher v1.0 Getting Started Guide. 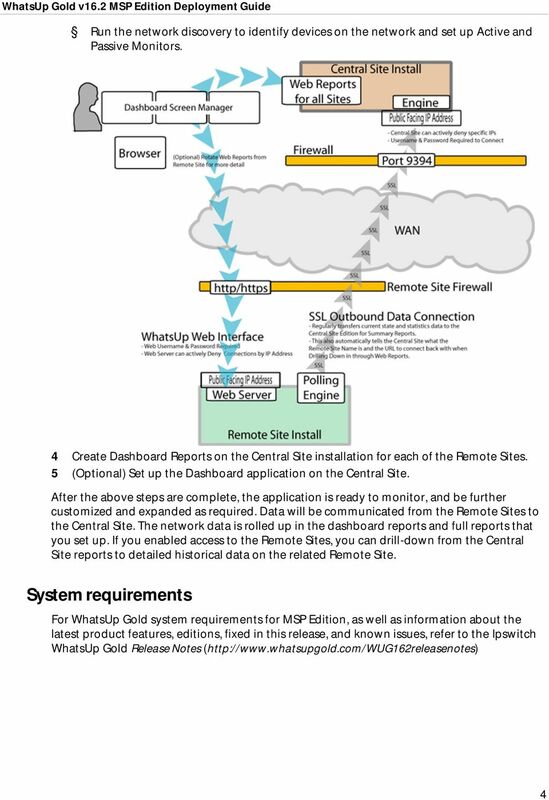 Get started with WhatsUp Flow Publisher.